Devour Books: Are We There Yet? Goofus and Gallant argue over a Manic Pixie Dream Girl in Italy. 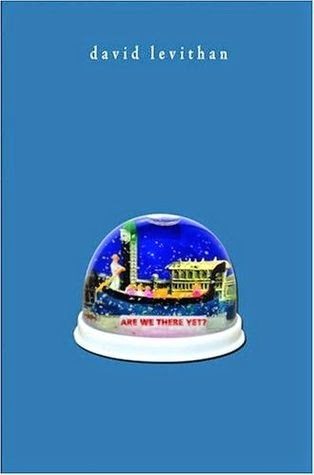 That would be my Twitter-style review of David Levithan's Are We There Yet? I was so disappointed by this novella because I normally adore everything Levithan writes. "Elijah's problem, in Danny's mind, is that he has no sense of what it takes to make a living. Danny's problem, in Elijah's mind, is that he has no sense of what it takes to make a life." Levithan's dislike of Danny makes me feel defensive of his character, especially because I pictured him in my head as Danny Castellano from "The Mindy Project." His polar opposite, Elijah, doesn't seem that appealing to me. At first, I thought he had some developmental issues, but he is really just set up as someone who is so kind that he will do anything to make others happy. This book didn't work for me and I won't be recommending it, but it doesn't change my love for David Levithan. Everyone has bad days.